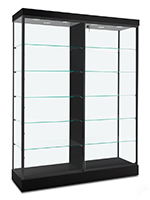 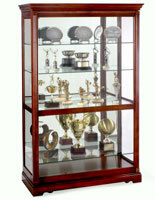 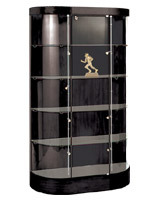 This Display Cabinet Is the Ideal Case for Trophy Displays! 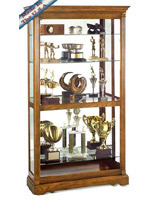 This display cabinet is outstanding known known as a trophy case, an exhibit case, an award display case, or merely known known as a lobby display. 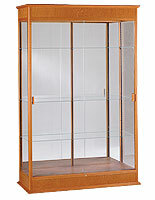 It continues to be a favored with schools, libraries, churches and firms. 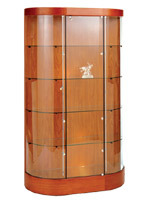 Traditional appearance with solid hardwood construction. 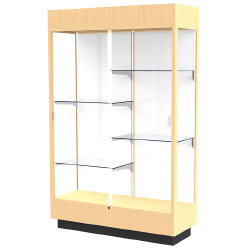 This display cabinet incorporates: Honey Maple finish, awareness grabbing mirror back, a 10" high base, four 14" deep half-length shelves w/steel shelving hardware brackets, sliding safety glass doors, engineered-in locks, and engineered-in levelers. 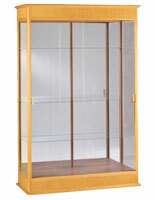 48.0" x 70.0" x 17.5"